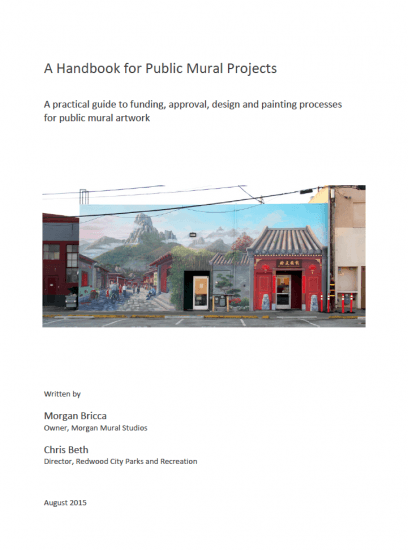 A practical guide to funding, approval, design and painting processes for public mural artwork. Mural artist Morgan Bricca and the City of Redwood City collaborated to create this handbook as a template to build a thriving public mural arts program in Redwood City. We are now proud to offer it as a free guide for other cities interested in launching successful public art programs of their own.